A patrol boat is a relatively small naval vessel generally designed for coastal defense duties. 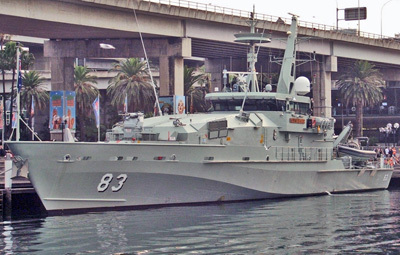 There have been many designs for patrol boats. They may be operated by a nation’s navy, coast guard, or police force. For almost thirty years, Thrustmaster has been a supplier of thrusters to the U.S. Navy, U.S. Coast Guard, U.S. Army and Air Force as well as many foreign militaries all over the world.